Alexius Lopez delivers his testimonial message as a representative of the senior citizens and retirees’ group. After 13 Saturdays, senior citizen Alexius Lopez will finally be able to go online to buy tickets, make hotel reservations, read newspapers, and other activities he could now easily do through a computer and the internet. “We (senior citizens) took this class because some 50 years ago…there were no computers to tinker with…All we had was the typewriter. It’s rather late to catch up with our [senior] high school instructors who taught us patiently for many weeks…but not too late to learn the basics of computer science and the internet world,” said Lopez, a member of the first batch of trainees who completed the Computer and Internet Fundamentals training under the Silliman University (SU) and Mariano Lao Free Computer Education Program, in his testimonial message. 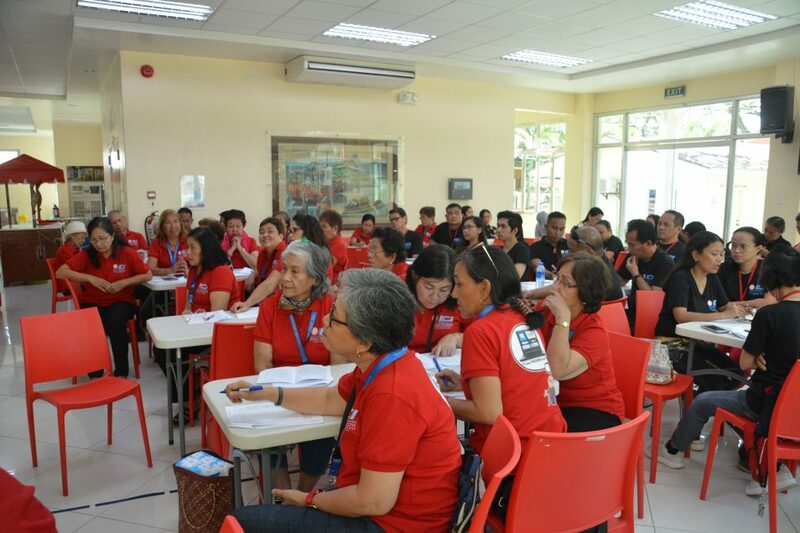 The Program’s first batch of trainees, consisting of 25 senior citizens and retirees, 25 employees from different agencies and institutions, and 25 students from different schools and colleges, received certificates of participation during the closing ceremonies last March 30 at the Mariano and Lina Lao Activity Center, SU Junior High School campus. Of the number enrolled, 24 trainees in the senior citizens and retirees’ group, 21 in the employees’ group, and 10 in the students’ group received their certificates of completion. 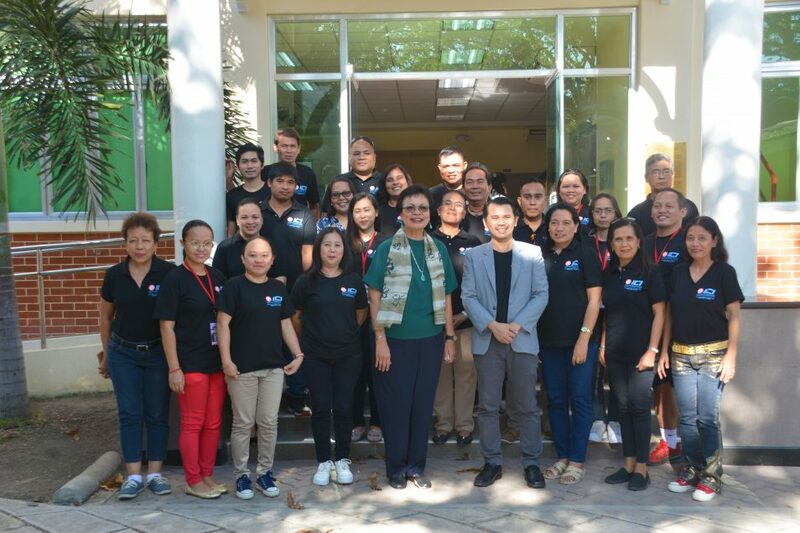 The trainees had been meeting every Saturday for the past three months since Jan. 5 at the Mariano Lao Innovation, Creation, and Invention (ICI) Laboratory. The Program, which was launched January 2019, offers three types of free training for three groups: Computer and Internet Fundamentals for senior citizens and retirees; Office Productivity Tools for employees; and Image and Video Editing for students. 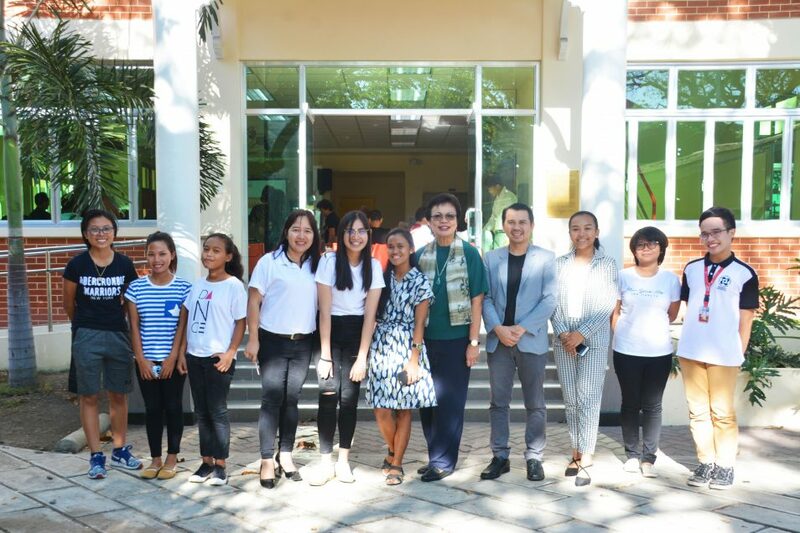 “The Mariano Lao Innovation, Creation, and Invention Laboratory was established with the primary aim to provide learning space for high school and college students. 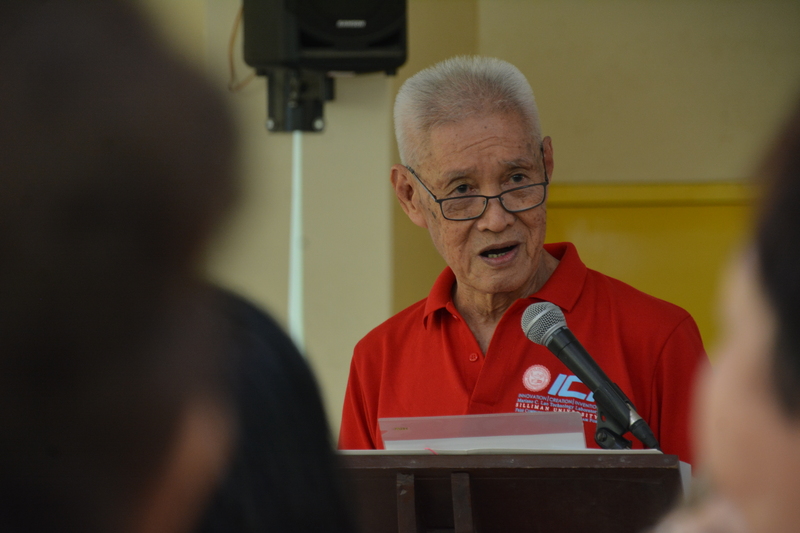 Later on, we realized we have to include the greater community, and that is our employees, our senior citizens and retirees, and the entire community outside Silliman University,” said Dr. Dave Marcial, SU College of Computer Studies (CCS) dean. Outstanding Sillimanian and benefactor Mariano Lao, who was unable to attend the event, said in a video message that the Free Computer Education Program is his way of “paying it forward” and sharing what he learned, so that no one will be “left behind” in technological advancement. “If not for the patience of my children and grandchildren, I would never have learned how to operate the computer. Whatever little knowledge I have about computers, it is more than enough to help me cope with the changing times and the modern world of science and technology,” said Lao. Meanwhile, , Lorna Denoy, who completed the program for employees, said in her testimonial message that sacrificing her laundry day and household schedule every Saturday to attend the free training turned out to be “more than fruitful,” after learning things she could have missed if she studied on her own. 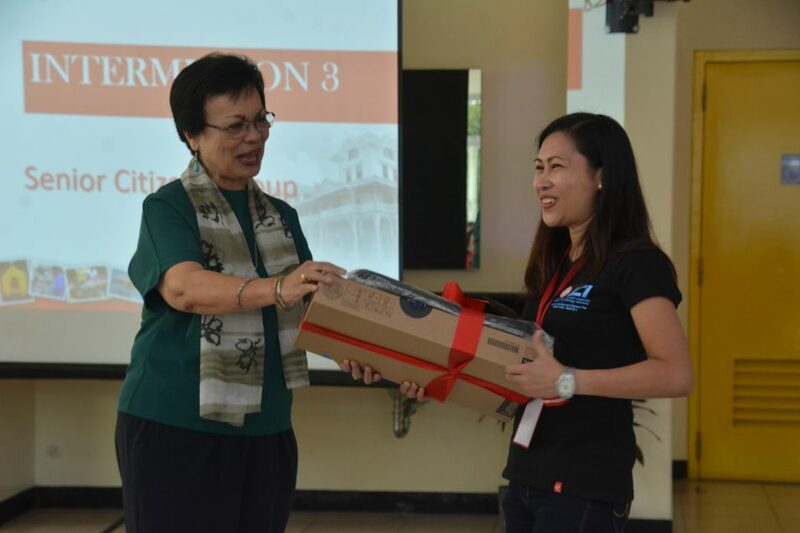 “Indeed, through constant practice and application, we may definitely be able to use what we have learned; equipping and reinventing ourselves to be more effective and efficient in our respective workplaces,” said Denoy, who thanked both their mentors-facilitators from SU CCS and their student assistants from SU Senior High School (SHS). Francisco Kinikito Jr., employee of the Dumaguete City Office of Senior Citizens Affairs, also expressed his gratitude in his testimony and said that he is impressed with the Program’s learning environment and instructors’ hands-on approach in teaching each of the trainees. 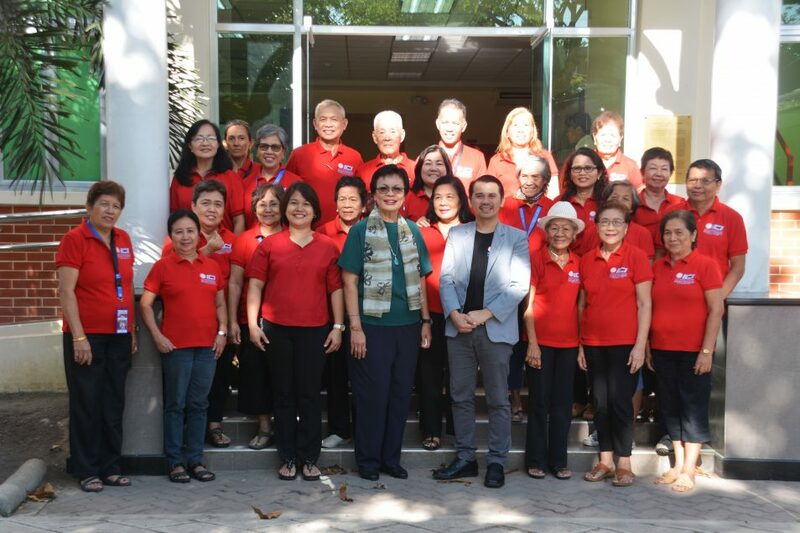 Moreover, facilitator of the senior citizens’ group Joy Dy said in her testimonial message that being a mentor of the senior citizens was a unique but fulfilling teaching and learning experience. “Despite [their] age, they still have the willingness to learn,” said Dy. Genalyn Sedon receives the first prize, a brand-new Lenovo laptop, as the best performing trainee in the employees’ group. 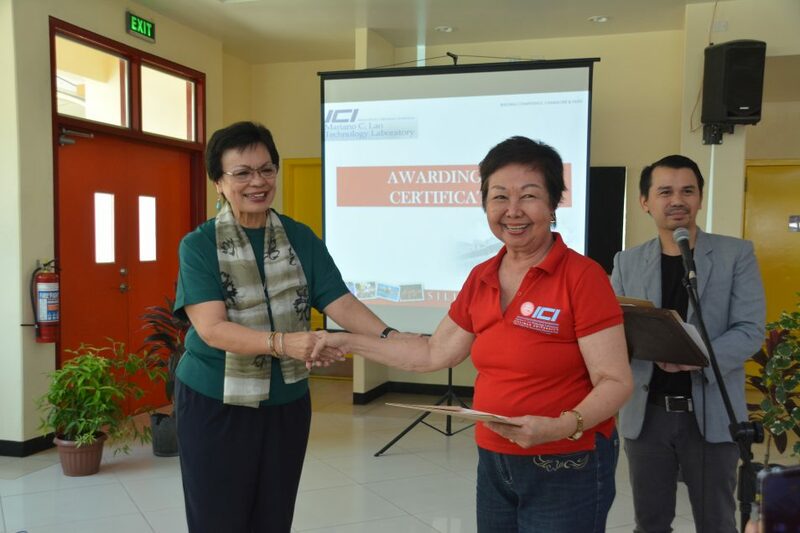 Tinang Jubela, one of the 21 who completed the Computer and Internet Fundamentals training under the Silliman University (SU) and Mariano Lao Free Computer Education Program, receives her certificate of completion from Dr. Betty Cernol-McCann, SU president. During the closing ceremonies, the best performing trainees of the three groups drew lots to get one of the prizes. Dalmacio Calumpong Jr., from the senior citizens’ group, won PhP 2,000 as third prize; Pia Villareal, from the students’ group, won PhP 3,000 as second prize; and Genalyn Sedon, from the employees’ group, won a brand-new Lenovo laptop as first prize. Aside from the graduation of the Free Computer Education Program trainees, 21 students who participated in the SU and Mariano Lao Creativity Camp also received their certificates of completion, but they were yet to pitch their projects for possible funding under the scholarship of the Mariano Lao Research and Development Fund. “The Creativity Camp is a competitive scholarship among top students in the province. This is the second year of the scholarship that the Mariano Lao ICI Laboratory is providing to ignite and stimulate new and innovative ideas with entrepreneurial value among high school and college students,” said Marcial. Three senior high school students, seven computer engineering students, and 11 information technology students were trained on project creation, collaboration, and proposal writing for one month by resource speakers and mentors who are experts in their field.